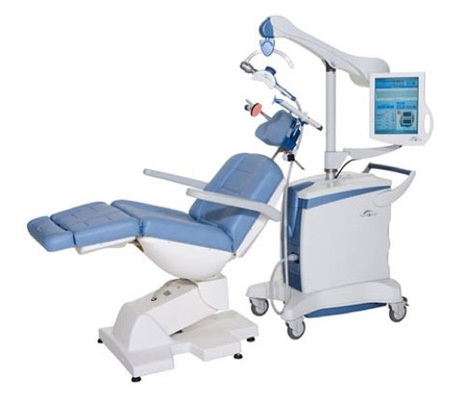 The FDA recently approved this very scary-looking chair as a treatment for depression. No, it’s not a lobotomy chair, though you’d be forgiven for letting your mind leap to that conclusion. 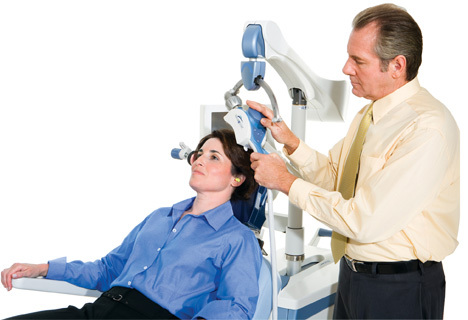 It’s the Neurostar Transcranial Magnetic Stimulation (TMS) chair from Neurotronics. 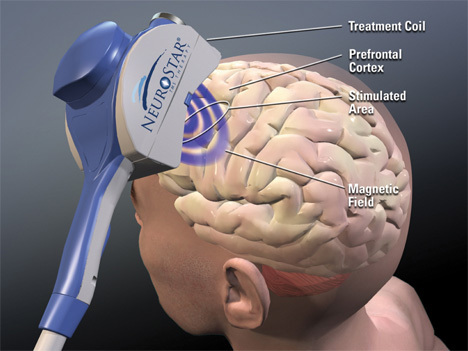 Although it looks like a pain machine, it’s actually used to deliver pulsed magnetic fields to stimulate the parts of the brain thought to control mood. It’s done very well in trials so far, with at least half of the participants reporting significant improvement after 30 in-office sessions. This treatment could be a life-changing opportunity for people who suffer from depression but have experienced intolerable side effects from medication. It’s done on an outpatient basis, in a psychiatrist’s office with the patient fully awake. Trial participants reported some mild discomfort in the treatment area, but nothing more severe than that. Depression is a serious, and often debilitating, condition. It affects an estimated 14 million people just in America every year. Drugs have been available to control the condition for years, but not every medication works for every patient, and some of them cause side effects that are nearly as bad or worse than the initial depression. A treatment like this could entirely change the way we think about and treat depression.